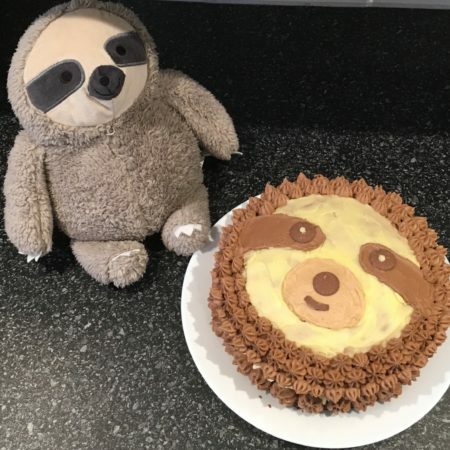 My mum Kathie made this for my 23rd birthday, because I love sloths. It is based on Frank the sloth, who you can see in the photo! Never use a plastic spatula when making caramel. It does not end well, trust me.